We can use your help to raise awareness about uranium mining in northern Colorado and to organize the opposition to Powertech's mining plans. While everyone we talk to is opposed to uranium mining in our backyard, with the exception of a few landowners who have already sold their property to Powertech, we often run into people who know nothing about the proposed mine or its potential impacts on northern Colorado. 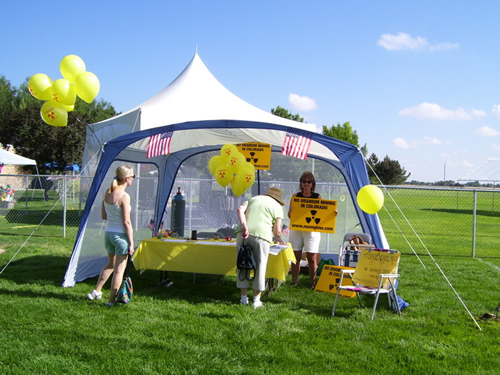 Hand out "Stop Uranium Mining" flyers at organized events. Work NunnGlow booths at county fairs, farmers markets, etc. Distribute yard signs and bumper stickers.